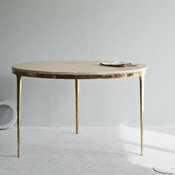 This bronze table is the perfect mesh of natural and metallic materials. I’m loving those gold-dipped toes! 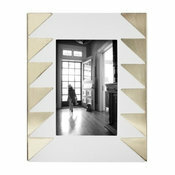 A wood finish with a nice metallic chevron detail is absolutely glam. 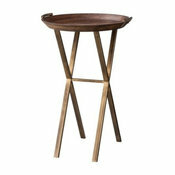 Wood and metal finishing come together to create this stunning nightstand. 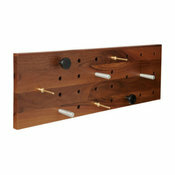 It’s a perfect statement piece for the bedroom. 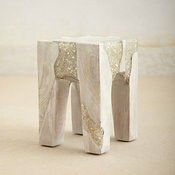 Teak and resin come together to create this stunning glittery look. 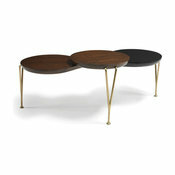 A walnut top with brass base is a beautiful combination. 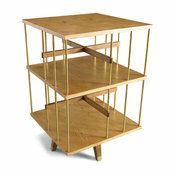 French oak and vintage brass come together in this classic table design. 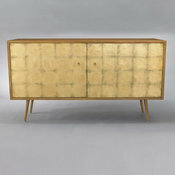 I love this modern gold-leaf media cabinet. 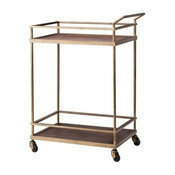 Every home needs a fabulous wood and brass bar cart. 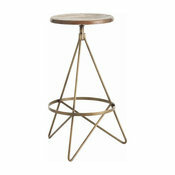 A wood and brass accent table is sure to add a nice glow in the living room. 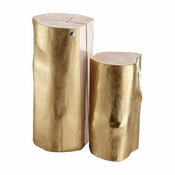 These bar stools are sculptural works of art. 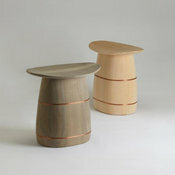 This gorgeous Japanese stool is infused with copper wire — a beautifully distinct detail. 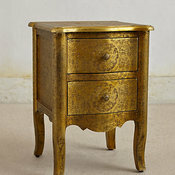 This wood side table has a beautiful golden exterior. 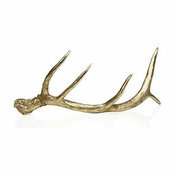 Add a rustic touch with a deer antler painted a golden hue. 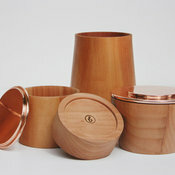 Wood and copper containers will keep things stored in style. 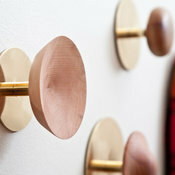 Even coat hooks can be glamorous in a metallic and wood combination. 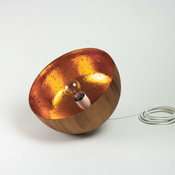 This wood and copper pendant adds just the perfect amount of ambience to any room. 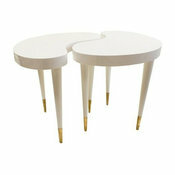 Add some new legs to your own furniture in painted white wood and copper. 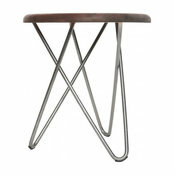 This stool is a stunner with its curvy silver legs.